Titi Camara: Liverpool cult hero! Our former striker, who played under Gerard Houllier briefly at the start of the Millennium, shared this picture last night via his Twitter page! It’s an altered image of the infamous Sadio Mane holding a baby shot – but features Trent Alexander-Arnold cradling Leroy Sane! It’s the kind of tweet we’d expect from viral-hunting Twitter accounts and not Titi Camara, which makes it all the funnier! 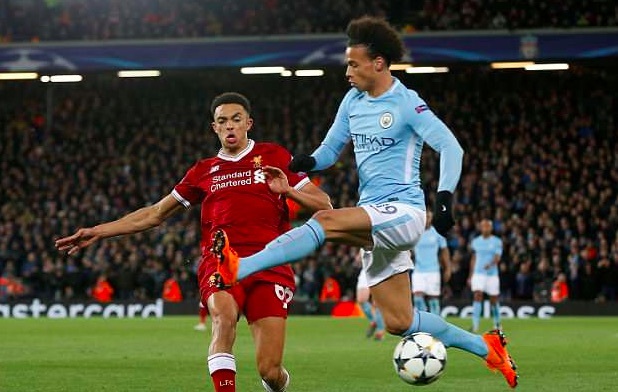 Our teenage right-back pocketed Manchester City’s dazzling winger in our 3-0 Champions League win, putting in the performance of a lifetime under incredible amounts of pressure. Trent was insanely good, but now he must maintain that level until the summer, especially with Joe Gomez injured. Nathaniel Clyne though might make his first appearance of the season on Saturday, with Liverpool heading across Stanley Park to face Everton in the Merseyside Derby. With the league less of a priority for us, it’s likely we’ll see a much-changed Liverpool side this weekend, though City do not have that luxury as defeat to us in mid-week surely ups the pressure on them to get the title done and dusted when they take on United at the Etihad. This means Sane will have to escape from Trent’s pocket in time for Saturday if they are to live up to the expectations of pretty much everyone in football betting on them to wrap up the title as soon as possible.